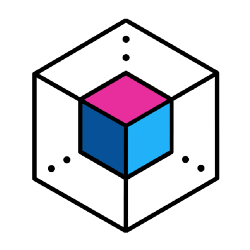 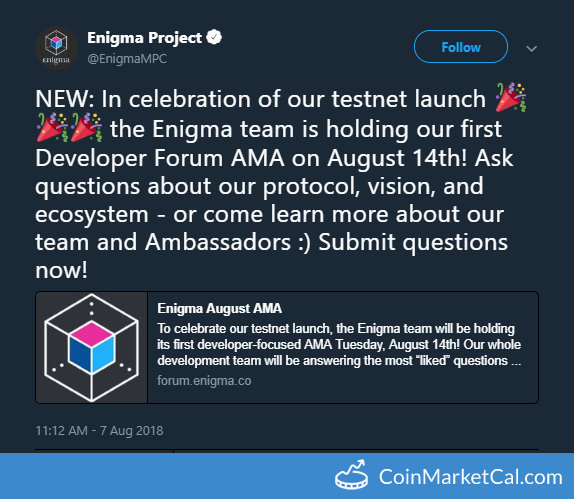 "NEW: In celebration of our testnet launch the Enigma team is holding our first Developer Forum AMA on August 14th!" 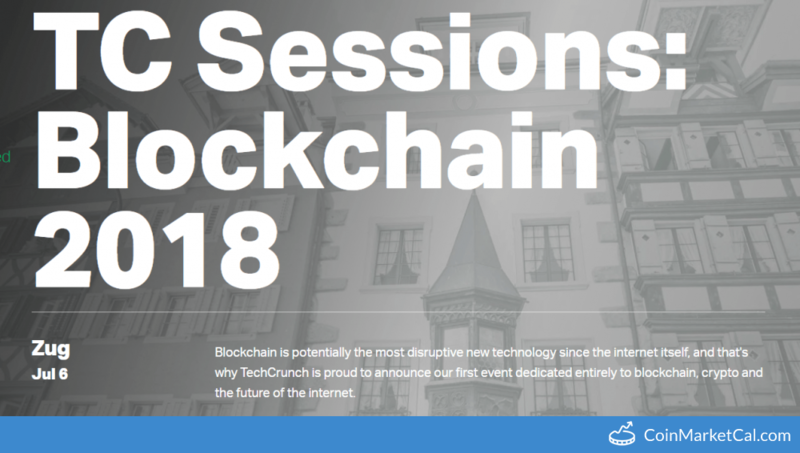 "TechCrunch is proud to announce our first event dedicated entirely to blockchain, crypto and the future of the internet." 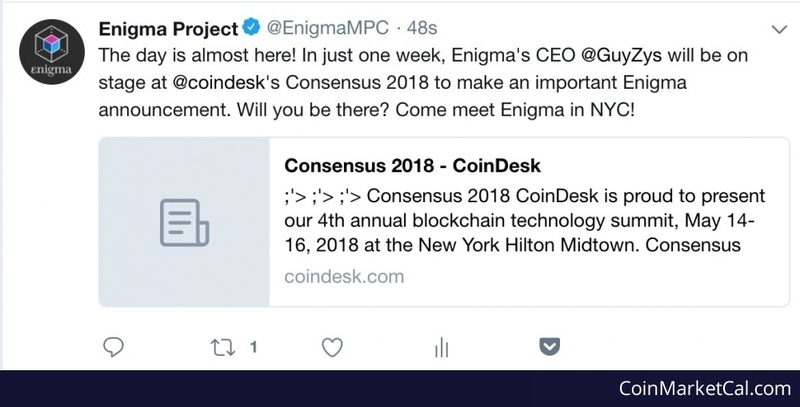 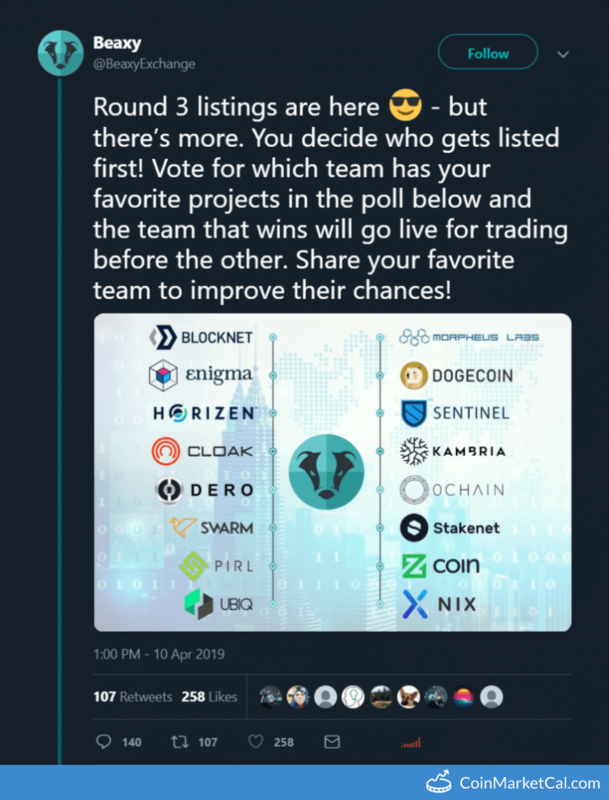 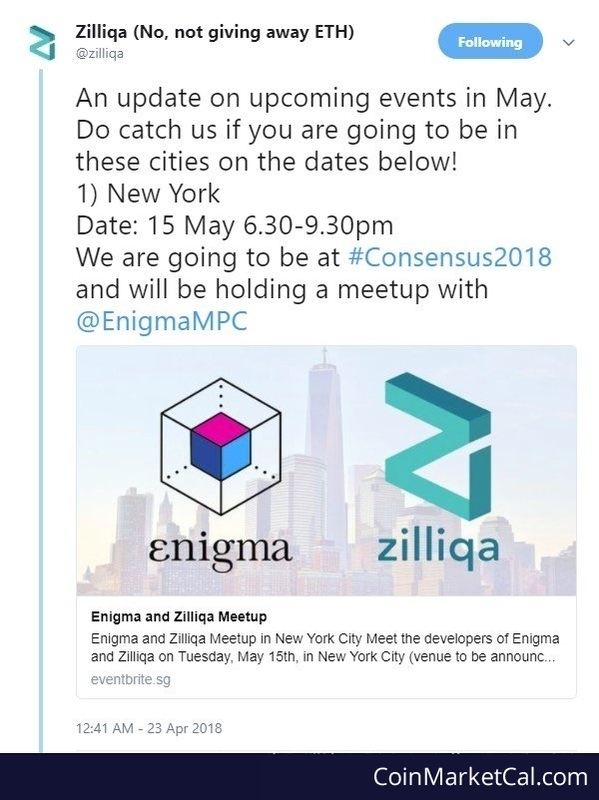 "Enigma's CEO @GuyZys will be on stage at @coindesk's Consensus 2018 to make an important Enigma announcement."